One Thursday of September (third week), I went to Quezon City hall to apply/renew my NBI clearance. I left the house at around 11:00AM, got there past 12:00NN, went thru the usual process of applying for the clearance amid the oppressive heat and long queues: photocopied my ID, filled-up the form, paid the fees (125 PhP, local or abroad). And then there I was, at the counter where my photo and fingerprints will be taken and also where my receipt will be stamped of the date when I'd be able to get my clearance. But what has the staff told me? For me to be back on October 7, more than two weeks after! The staff said I got a "hit" and just be back on the date stamped on my receipt. I got annoyed. I knew the reason why I got a "hit" (I had this contractual obligation with a government agency before) but I already sent them three months ago my clearance from the said agency...tsk! Anyway, to calm myself and forget about that somewhat "expected" event, I went to Quezon Memorial Circle afterwards to walk around. I've been to this park several times before, we (my friend and I) usually have our dinner in one of the restaurants there. 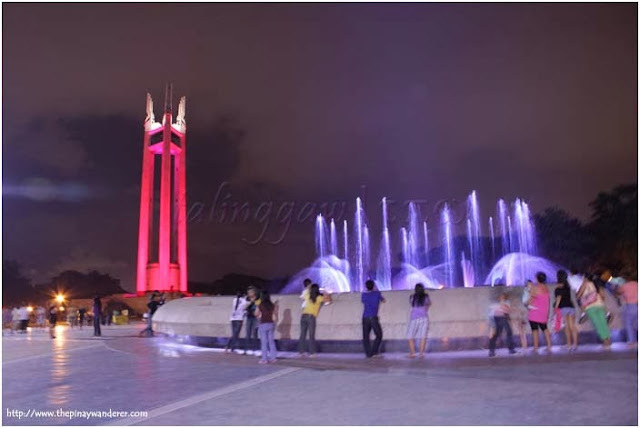 But I haven't been to the Quezon Memorial Shrine yet. So I decided to pay the shrine a visit and see what's in there. 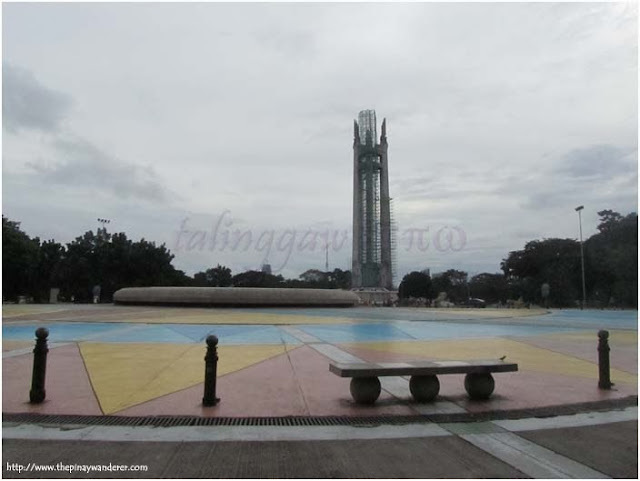 The Quezon Memorial Shrine was built in 1952 in honor of Pres. 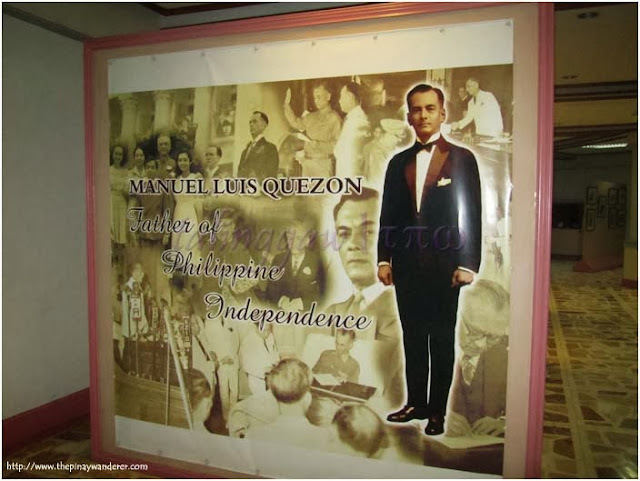 Manuel Luis Quezon. The monument is a three-conjoined pylons standing at 66 meters, representing the number of years Pres. Quezon lived. Atop each of the pylons is a winged angel which represents the three main islands of our country: Luzon, Visayas and Mindanao. The base of the shrine is an equilateral triangular structure reflecting eternal symbols: the cycle of birth, life and death. The base is where the museum containing Pres. 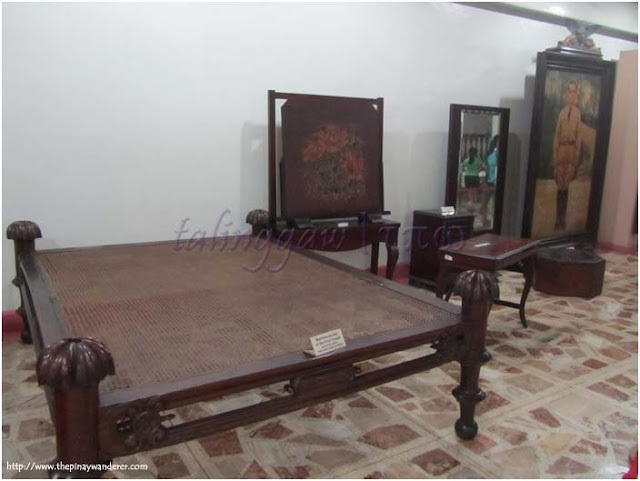 Quezon and his family's memorabilia is housed. The shrine was proclaimed a national monument on January 14, 1974 but was formally opened to the public on August 19, 1978, in celebration of Pres. Quezon's 100th year. 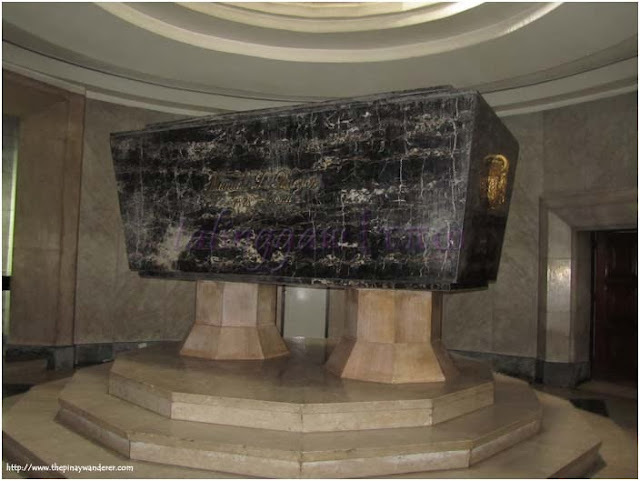 Before my visit to the shrine, I only knew President Manuel L. Quezon as that, the president of the commonwealth and the father of the Filipino language, that's all. I didn't even know that he joined the revolution and that he served as Gen. Emilio Aguinaldo's aide-de-camp (I really am not into history before, sensya naman!). These, and more I learned from going inside the shrine reading and seeing his life and works (in photos). 1878: Born to Lucio Quezon and Maria Dolores Molina in Baler, Tayabas (August 19). First schooled under the local priest, Pres. Quezon transferred to Colegio de San Juan de Letran in Manila and earned his Bachelor of Arts degree in 1894. 1894: He studied law at the University of Sto. Tomas but completed only three years because he joined the Philippine Revolution. 1899: During the Philippine-American war, he served as Gen. Emilio Aguinaldo's aide-de-camp and fought under Gen. Tomas Mascardo in Bulacan, Pampanga and Bataan. 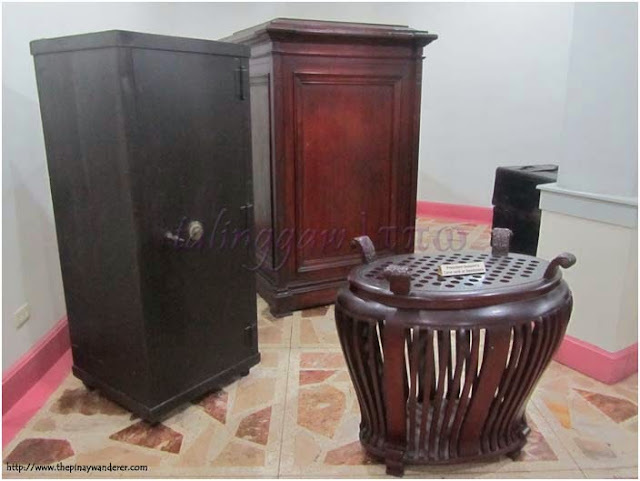 He surrendered after Gen. Aguinaldo's capture in Palanan, Isabela in 1901. 1903: After passing the bar examinations, he practices law and provides free legal services to the poor. 1904: He was appointed provincial fiscal of Mindoro and afterwards, Tayabas (now Quezon province). 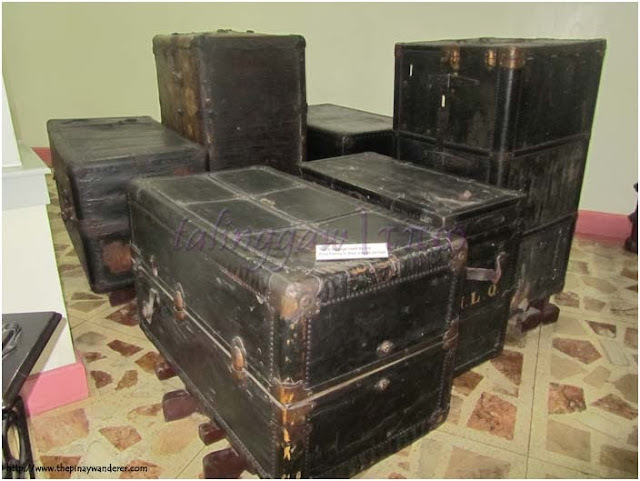 Also in 1904, he was elected governor of Tayabas. 1907: With the establishment of Philippine Assembly, Pres. Quezon was elected representative of the first district of Tayabas. He became Majority Floor Leader and advocated for increased autonomy for Filipinos in social and economic affairs. 1909: Pres. Quezon was elected as the resident commissioner to the United States, representing the Philippines in the US Congress (May 15). 1916: Pres Quezon was elected senator of the bicameral Philippine Legislature and subsequently chosen as Senate President. 1918: Pres. Quezon led the First Independence Mission to the United States Congress to campaign for Philippine freedom. 1934: The Tydings-McDuffie Law was ratified, an act which promised independence of the Philippines after ten years; the Philippine Commonwealth government was also established that same year (March 24). 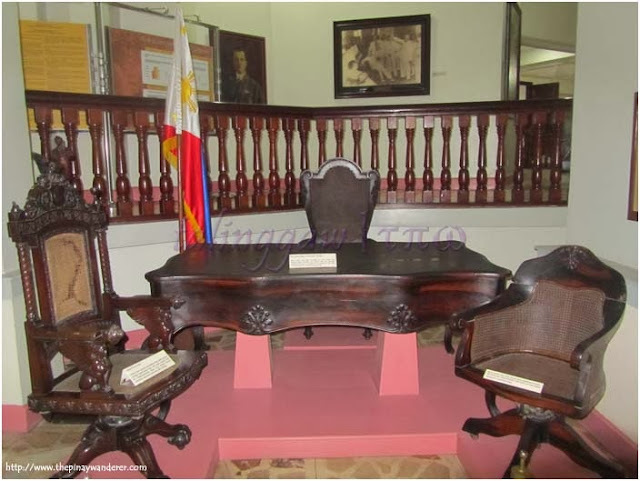 In July 30, a constitutional convention was formed to draft the Philippine Constitution. 1935: Pres. Quezon won the presidency (against Emilio Aguinaldo and Gregorio Aglipay) of the Commonwealth government (September 17). He took his oath of office as President in front of the Legislative Building, along with Vice-President elect Sergio Osmena (November 15). On the same year, Pres. Quezon signed Commonwealth Act No. 1 (The National Defense Act) which establishes a defense plan for the Philippines. It also introduced Reserve Officers' Training Course (ROTC) in high school and college (December 21). 1936: The 1935 Philippine Constitution was approved and signed by US President Franklin Roosevelt (March 23). Pres. Quezon started his social justice program by reserving agricultural lands in Mindanao to benefit farmers through a homestead scheme (April 13). Pres. Quezon signed the following: Women's Suffrage Bill into law, allowing Filipino women to vote during elections (September 30); Commonwealth Act No. 75, Abolition of Bureau of Non-Christian tribes and establishment of Commission of Mindanao and Sulu (October 24); Commonwealth Act No. 184, establishing Institute for National Language (November 13); Commonwealth Act. No. 186, the Government Service Insurance Act (November 14); Commonwealth Act No. 213, The Definition of Rights and Obligations of Legitimate Labor Organizations (November 21). 1937: Pres. Quezon prohibited the appointment of relatives of public officials to government posts (August 30). Pres. Quezon, together with US High Commissioner Paul McNutt, allowed 28 German-Jews from China to seek refuge in the Philippines (September 8). Pres. 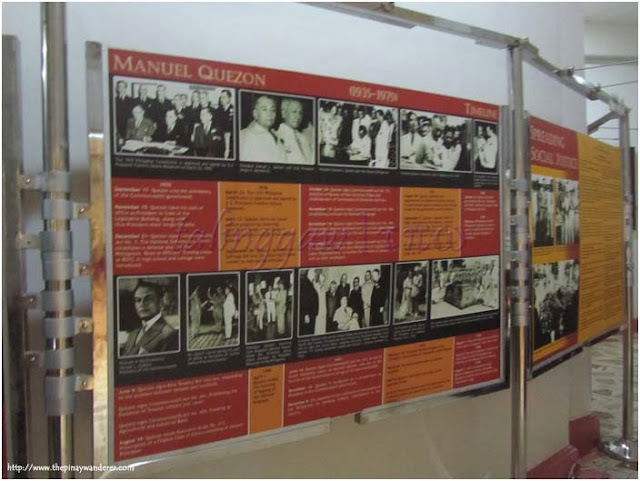 Quezon proclaimed Tagalog as the National Language through Executive Order No. 134 (December 30). 1938: Pres. Quezon prohibits government officials, employees and their relatives to acquire lands in Mindano and Sulu (January 14). 1939: Pres. Quezon asks the Philippine Congress to create a policy to admit and settle the German Jewish refugees in Mindanao (February 15). Pres. Quezon signs the Rice Tenancy Bill into law, as a response to the problem between tenants and landlords (June 9). Pres. Quezon also signed the following: Commonwealth Act No. 461, prohibiting the expulsion of tenants without just cause; Commonwealth Act No. 459, creating and agricultural and industrial bank. Pres. Quezon issues Executive Order No. 217, Prescription of a Filipino Code of Ethics consisting of 16 principles (August 19). 1940: Pres. Quezon orders the teaching of Tagalog as the national language (April 1). 1941: Pres. Quezon signs Commonwealth Act No. 647, granting maternity leave to married women who are in the service of the government (June 14). Pres. Quezon is re-elected to a second-term as President of the Commonwealth government (November 12). The Japanese forces commence its occupation of the Philippines by bombing military installations in the country (December 8). 1942: Pres. Quezon escapes from Corregidor Island aboard a submarine to the Visayas (February 12); flees to Darwin, Australia (March 26). On April 9, Bataan defenders surrender to the Japanese forces. Pres. Quezon and family then sail to San Francisco, California aboard the SS President Coolidge on April 20. 1944: Pres. Quezon succumbs to tuberculosis in Saranak Lake, New York (August 1). 1946: Pres. Quezon's remains are repatriated to the Philippines and interred at the Manila North Cemetery. 1979: After completion of Quezon Memorial Shrine, Pres. 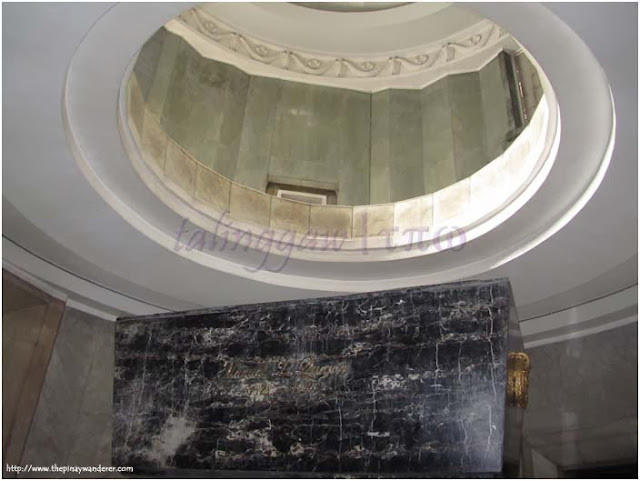 Quezon's remains are transferred to the mausoleum crypt. Pres. 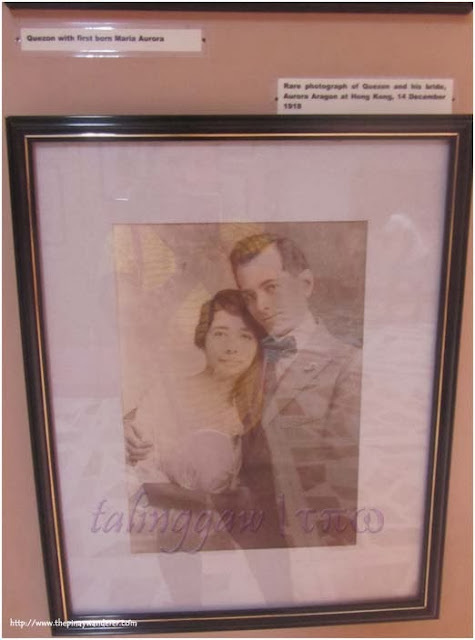 Quezon married his cousin Aurora Aragon while en route to the United States (for the First Independence Mission) on December 14, 1918 in Hongkong. 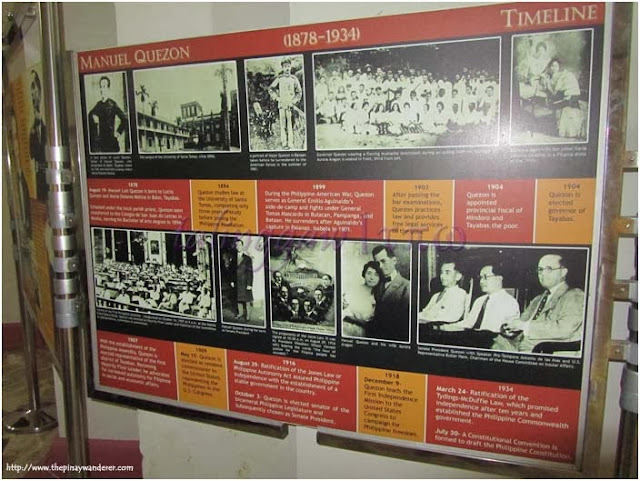 They were blessed with four children, Maria Aurora, Zenaida, Luisa Corazon Paz (who died in infancy) and Manuel Jr., father of Manuel Luis "Manolo" Quezon III, one of the undersecretaries in the present Aquino government. 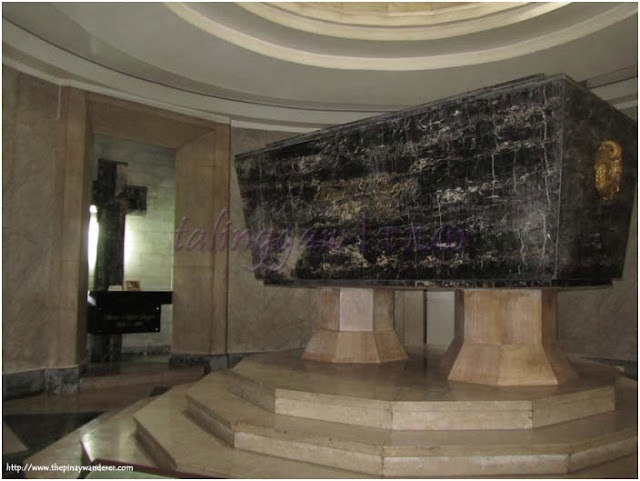 Never been inside the memorial shrine.